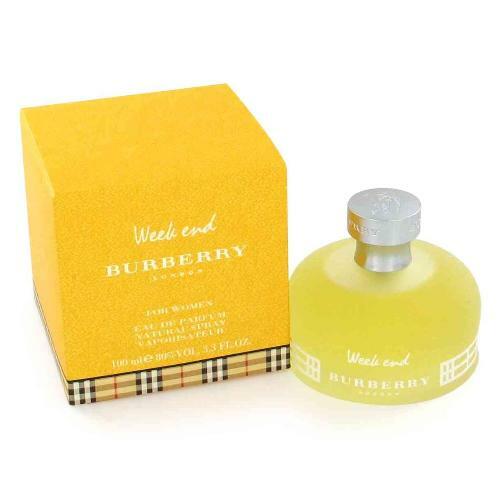 Introduced by Burberrys in 1997 WEEKEND is a sharp flowery fragrance. This Perfume has a blend of soft peach apricot marigold sandalwood vanilla and musk. It is recommended for daytime wear.